A few nights ago Malala Yousafzai, the brave young girl who was shot in the head by the Taliban, was interviewed by Jon Stewart on the Daily Show. Here is a snippet of the interview where she talks about what she would do if a Taliban assassin came at her. "When in 2012, we were – I was with my father and someone came and she told us have you seen on Google if you search your name that the Taliban has threatened you, and I could not believe it, I said it’s not true, and even after threat we saw it; I was not worried about myself that much I was worried about my father, because we thought that the Taliban are not that much cruel that they would kill a child, cause I was 14 at that time. 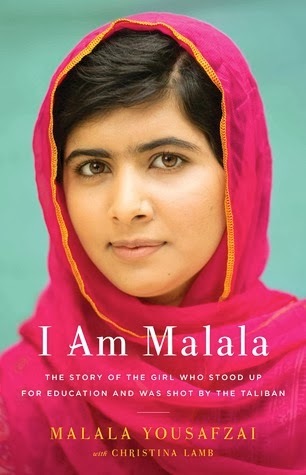 But then later on I used to – I started thinking about that and and I used to think that the Talib would come and he would just kill me, but then I said: if he comes what would you do Malala? If you hit a Talib with your shoe then there would be no difference between you and the Talib, you must not treat others that much with cruelty and that much harshly, you must fight others but through peace, and through dialogue and through education." At this, the audience broke out in cheers, and Stewart was left speechless. And I too was speechless. If you want to see more I suggest that you catch the interview on YouTube here. Education is so important, and dangerous to those who would like to take control. What a brave young lady. She is such a great voice for women and education Alice. Indeed, she was phenomenal! Such a great head on her shoulders and articulate. Truly and inspiration. Thanks for the comment Atlas! Amazing words for one so young.